Chris Moran’s considerable experience prosecuting complex cases including large scale frauds and confiscation proceedings has led to regular instructions in a wide variety of regulatory matters. Such instructions have included the prosecution of copyright fraud involving IPTV devices and associated offences under the Copyright, Designs and Patents Act 1988; the prosecution of rogue traders relating to food standards; animal cruelty cases and police disciplinary hearings. 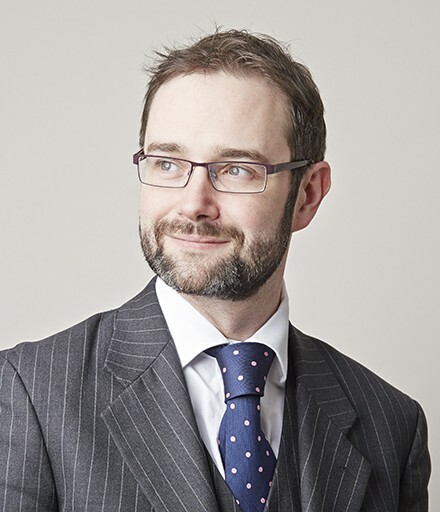 Chris has also represented families of the deceased in the Coroners Court where there have been complicated medical issues relating to intoxication and the effect of post-mortem distribution on toxicology findings. Chris regularly advises the Crown Prosecution Service, police authorities and Trading Standards as to complex legal issues and procedure. Such advice has related to pre-charge advice, confiscation proceedings, the legality of sexual harm prevention orders, judicial review, actions against the police, anti-social behaviour legislation, the use of special procedure warrants and the intricacies of EU and ECHR obligations. Chris’ reputation has led him to being requested to teach advocacy and trial preparation both at home and abroad. In the UK he has provided training to Trading Standards on how to successfully prosecute copyright offences; to police authorities on the conduct of disciplinary hearings and to health and safety inspectors on attending court and giving evidence. Abroad he has taught advocacy and trial preparation to lawyers in both Nigeria and Somaliland on behalf of the Foreign & Commonwealth Office as part of their counter-terrorism and human rights endeavors in Africa. This teaching is in addition the CPD lectures he regularly provides. Inquest of DEG: – Chris represented the deceased’s family in 6 day inquest involving the death of 16 year old who, at the time of taking his own life, had significant involvement from numerous public bodies. The hearing involved the questioning of multiple health practitioners and social workers. Inquest of BT: – Chris represented the deceased’s family in which the death involved the controversial prescription medication called Dosulepin. The hearing involved medical research of this drug and how it is used and prescribed leading to significant questioning of medical practitioners and the toxicologist. RSPCA –v- CLF & others: Successfully defended in a complex badger baiting case in which, due to legal argument, the defendant was acquitted at the close of the prosecution case. DEFRA –v- WW: Defended the owner of an abattoir whose employees were alleged to be engaging in unlawful practices in the killing of livestock. The case involved extensive legal argument as to EU regulations, surveillance evidence and vicarious criminal liability. Regina –v- MM: Led by Richard Wright QC in the successful prosecution of a large-scale fraud involving the sale of IPTV boxes designed to illegally access premiership football matches. This case involved complex EU, copyright and confiscation law. Thank you to everyone that attended and supported the PSQB Criminal Seminar on Saturday. Park Square Barristers will be holding their annual Criminal seminar on Saturday 20 October at BPP Law School in Leeds. Allan Armbrister and Chris Moran were defence counsel in a RSPCA prosecution of 6 men charged with animal welfare offences.